Sometimes you step tentatively into a book, not quite sure where the intersection of your hopes and expectations will lie. Urban Fantasy is not generally a must-read genre for me, but I’ve become a fan of Kristi Charish’s Adventures of Owl. Having said that, however, I know that much of the appeal in that series (for me, at least) is in the archaeology and the mythology. As such, I really wasn’t sure if I was up for a more, for lack of a better word, generic urban fantasy. 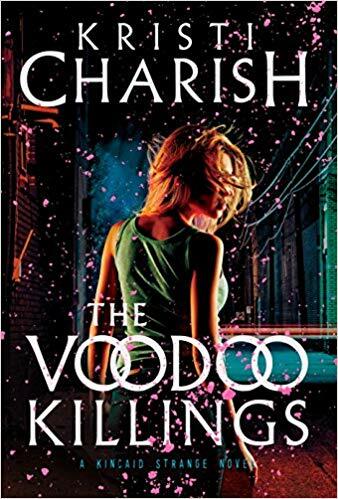 Well, let me spare you the suspense and declare that The Voodoo Killings marks the start of another fantastic series – one that I wouldn’t have otherwise been drawn to, but which I am very glad I was. It’s a ghost story with a twist, and a voodoo tale with far more depth than even a fan of her work might expect. Strange is a very different sort of heroine than Owl, more likable in personality and more deliberate in her planning, but still just as compelling. Where the book really began to win me over, though, was with our first trip into Seattle’s Underground City – and not the one tourists get to explore. There’s some real world building here, establishing it’s paranormal place in the world, while still tying it to the history of Seattle. This is a world where ghosts and zombies are real, and where a different sort of Voodoo allows the mortal world to intersect with the supernatural. On that note, this is not your grandmother’s Voodoo, and while I’m sure there are some readers who make take issue with the appropriation of a culture/faith, I really like what she did with it here. Of course, characters and setting are only part of what makes a good book work so well. Fortunately, the central mystery here is legitimately compelling, and genuinely exciting. It’s a testament to the narrative strengths of Charish that she’s able to so casually walk the reader through a zombie’s mystical bindings, and point out how unusual they are, and make us care about it. I was hooked early one, and wanted to know what the heck was going on. Once the issue of mass murders enters into the equation, it just gets even more interesting. 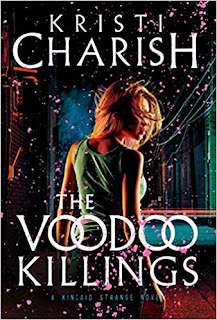 The Voodoo Killings is a fast paced paranormal adventure that somehow also manages to feel down-to-earth. Even with all the supernatural trappings, it’s still a story to which the reader can easily relate. Yes, it’s violent and gory, complete with chilled goblets of mashed brains, but never so over-the-top that you have trouble suspending disbelief. It’s also an exceptionally well-written tale, demonstrating the further refinement of Charish’s unique voice. 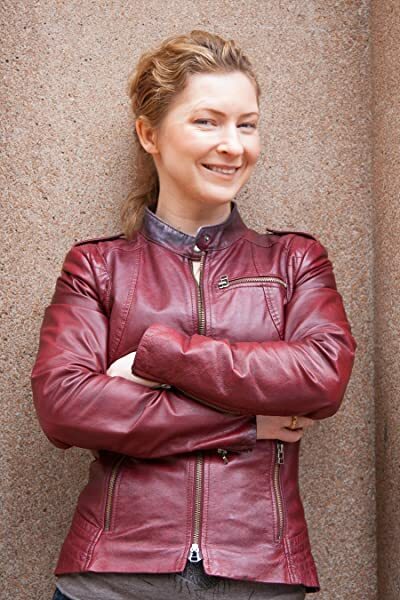 KRISTI CHARISH is a scientist and science fiction/urban fantasy author who resides in Vancouver, Canada. Kristi writes what she loves; adventure heavy stories featuring strong, savvy female protagonists with the occasional RPG fantasy game thrown in the mix. She is also a co-host on the popular Adventures in Sci-Fi Publishing Podcast. Kristi is the author of Owl and the Japanese Circus and Owl and the City of Angels and the first book in the Kincaid Strange series, The Voodoo Killings. She has a background in archeology and a Ph.D. in zoology from the University of British Columbia. She has worked as a scientific adviser on projects such as fantasy and SF writer Diana Rowland’s series White Trash Zombie, and is the co-host of the Adventures in Sci-Fi Publishing Podcast. She lives in Vancouver. For starters, she's only twenty-seven. Then there's the fact that she lives in rain-soaked Seattle, which is not exactly Haiti. And she's broke. With raising zombies outlawed throughout the continental USA, Kincaid has to eke out a living running seances for university students with more money than brains who are desperate for guitar lessons with the ghost of a Seattle grunge rocker--who happens to be Kincaid's on-again, off-again roommate. And then she becomes the target... As the saying goes, when it rains it pours, especially in Seattle. In honor of its US paperback release, the gang at Penguin Random House have promised a physical copy of the book available to one lucky reader in the US. For your chance to own this slice of Voodoo adventure, just leave a comment below with your email. I'll pick a winner on Monday.